San Francisco based auto insurance startup Metromile has now closed a Series E funding round totaling $90 million led by Japanese insurance giant Tokio Marine Holdings and Intact Financial with participation from Index Ventures, New Enterprise Associates, Future Fund and former Google Ventures CEO Bill Maris's Section 32. 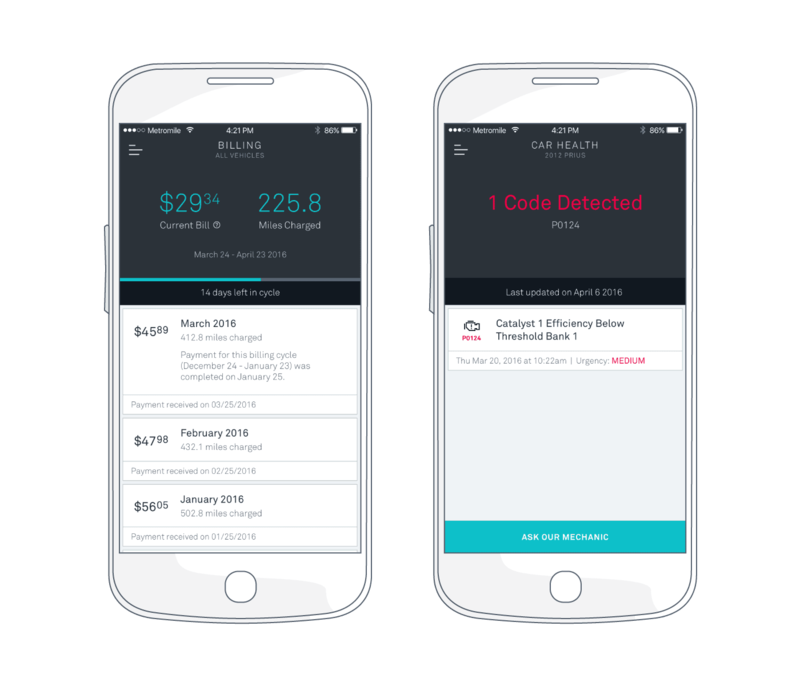 Metromile plans to make use of this investment to "expand pay-per-mile insurance and simplify every step of the insurance experience through the use of artificial intelligence (AI) in claims processing." This funding round brings the total raised by the 7 year old insurance startup to $295 million with Metromile also counting other notable previous backers including First Round Capital, Felicis Ventures, SV Angel and China Pacific Insurance. Metromile makes use of a pay-per-mile insurance model which implies customers paying for insurance based on the actual miles driven which would see consumers save more cash as opposed to a fixed rate for those who both drive and don't drive a lot as seen in traditional insurance packages. Metromile powers its service through the use of its AI claims system AVA which speeds up the process of verification and payouts in insurance claims, According to Metromile, using its Pulse sensor data, "AVA can reconstruct the scene of an accident to instantly determine if claim details are accurate. When the claim is verified, Metromile is able to automatically approve payments within seconds." Metromile's insurance service is currently available across 8 states in the U.S. consisting of its home base of California, Arizona, Illinois, New Jersey, Oregon, Washington, Pennsylvania and Virginia. Metromile's board is also getting a new addition by name of Stacy J. Smith notable for being a former CFO and Executive Vice President of major chip manufacturer Intel and also occupies the position of Non-Executive Chairman at software maker Autodesk.